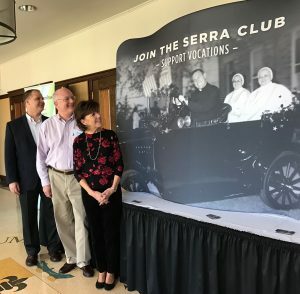 The Serra Club of North Columbus unveils the new display for the Columbus Catholic Women’s and Men’s Conferences. 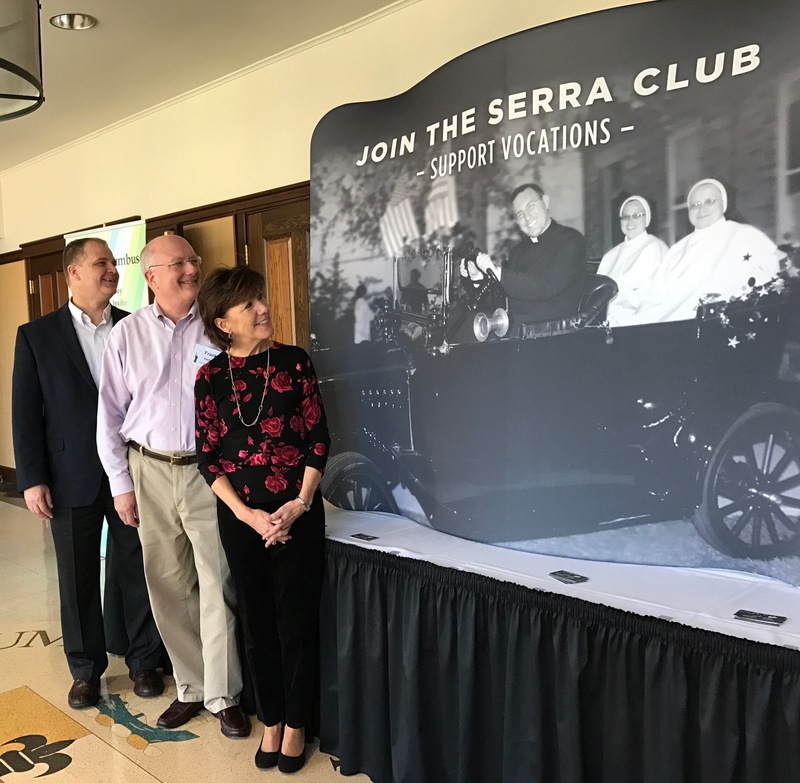 Bill Messerly, President, Frank Hartge, Tresurer, and Rose Mary Finneran, President Elect, admire the new display. Contact bgatch@hotmail.com if you would like more information about joining Serra.